Commissioned for the 25th anniversary of the June in Buffalo festival. 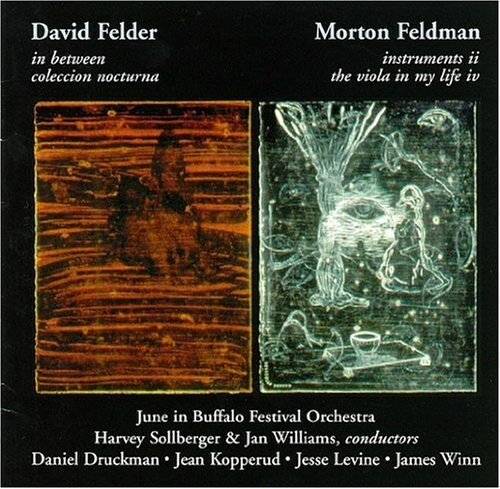 Premiered June 5, 2000 by the June in Buffalo Festival Orchestra with Dan Druckman, solo percussion and Harvey Sollberger, conductor. 2(dbl. 2Picc.) 2(dbl.E.H.) 2(dbl.EbCl./B.Cl.) 2(Cbsn.) – 2(dbl.Picc.Tpt.) 2(B.Tbn.) 1; Timp. 2Perc. Pno.(Cel./Kbd.) Ele.Guit. Ele.B.Guit.(opt.) Str.